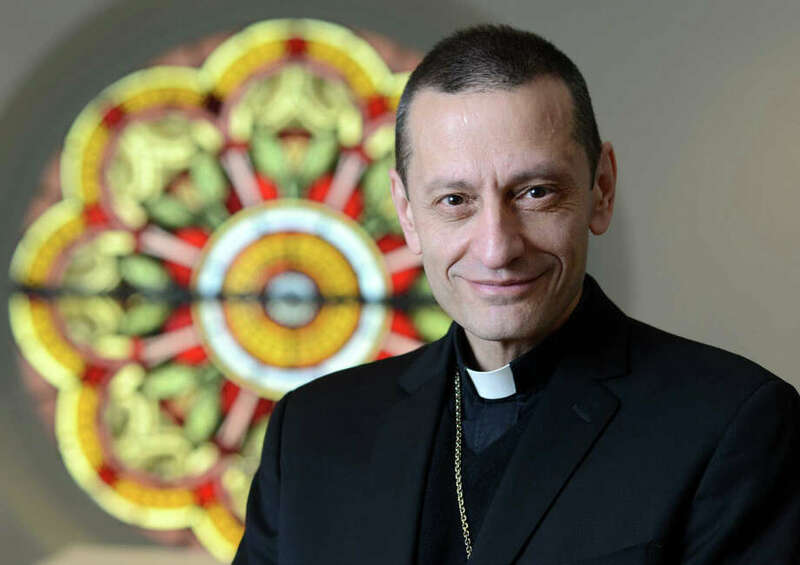 Roman Catholic Bishop Frank Caggiano will be the keynote speaker at the town's 33rd Fairfield Holocaust Commemoration on May 5. FAIRFIELD — In contrast to the past 32 Holocaust commemorations organized by the town, this year’s keynote speaker has no direct connection to the Nazi campaign to exterminate Jews during the World War II era. The speaker is not a survivor, or the child of a survivor. He’s not a historian. He’s not even, like one year’s keynoter, the child of an SS officer. But Bishop Frank Caggiano, leader of the Roman Catholic Diocese of Bridgeport, was the overwhelming choice of the event’s planning committee to speak at the gathering. The Holocaust Commemoration will be held at 7:30 p.m. May 5 at First Church Congregational, 148 Beach Road. Allen himself was at that presentation by the bishop at Congregation B’Nai Israel, which marked the 50th anniversary of Nostra aetate — Latin for “In our time” — the declaration on the relationship of the Catholic church with non-Christian faiths adopted by second Vatican Council in 1965. “If you know Bishop Caggiano, he’s a wonderful public speaker, and he did a superb job,” Allen said. After the talk, he said, Caggiano and Rabbi James Prosnit held a question-and-answer session with the audience. “They worked together so beautifully,” he said. Zabin said as the committee was considering who to invite to speak at this year’s program, it was after Ciaggano spoke at the synagogue that he began to hear committee members suggest that the bishop would be an excellent choice. Allen said the choice of Caggiano fits nicely into what he said he has always considered a town commemoration that strives to include everyone. Not only are he and Zabin of different faiths, he noted, the event itself has traditionally been hosted by First Church Congregational. The topic of Caggiano’s address will be, “We Must Never Forget.” The event, which is free and open to the public, will include musical selections performed by the Fairfield Warde High School Ensemble and the Fairfield County Children’s Choir. A reception will follow. For more information, visit www.fairfieldholocaustcommemoration.org or the group’s Facebook page, Fairfield Holocaust Commemoration.